Senator Rand Paul appears to have the ear of President Trump and is moving his perspective ever so slightly in the direction of liberty. Tara Golshan does not think it is wise for the President to develop this liberty-leaning relationship. "Sen. Rand Paul considers President Trump a personal friend; they had a great time playing today," Paul's spokesperson Sergio Gor told reporters after the senator's golf outing with the president. The two have become something of an odd couple in Washington — a far cry from the time Trump tweeted that Paul was "truly weird" and a "spoiled brat without a properly functioning brain," and when Paul called Trump an "orange-faced windbag." Last week, Paul stood behind the president as he signed an executive health care orderthat would dramatically undermine the Affordable Care Act's marketplaces. He told CNN's Jake Tapper that Trump's order is "creating something that is freedom." Trump's newfound buddy in the Senate might not be a team player on tax reform. It's not surprising from Paul. Only last month, he stood firmly against the Republicans' last-ditch attempt to repeal Obamacare — a move that ultimately tanked the whole effort. Paul likes to make noise in the Senate and has a habit of being a thorn in his fellow Kentuckian Senate Majority Leader Mitch McConnell's side. That might curry favor with Trump — who has grown disenchanted with GOP leadership for now — but certainly won't help with the wins Trump really needs. For the record, Senator Paul objected to the repeal Obamacare legislation because it remained too much of a crony deal. In the end, he was able to get Trump to sign an order which chipped away at some of the cronyism, namely the elimination of the ban on the cross-state sale of health insurance policies. 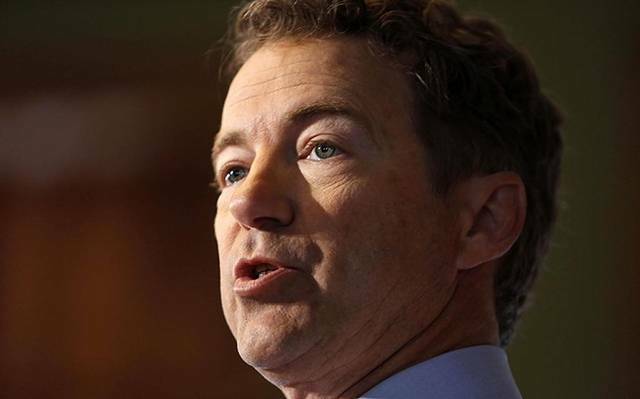 As far as tax reform, Rand has heroically stated that he wants to see tax cuts for everyone. Golshan is apparently against the President being tugged in this direction.